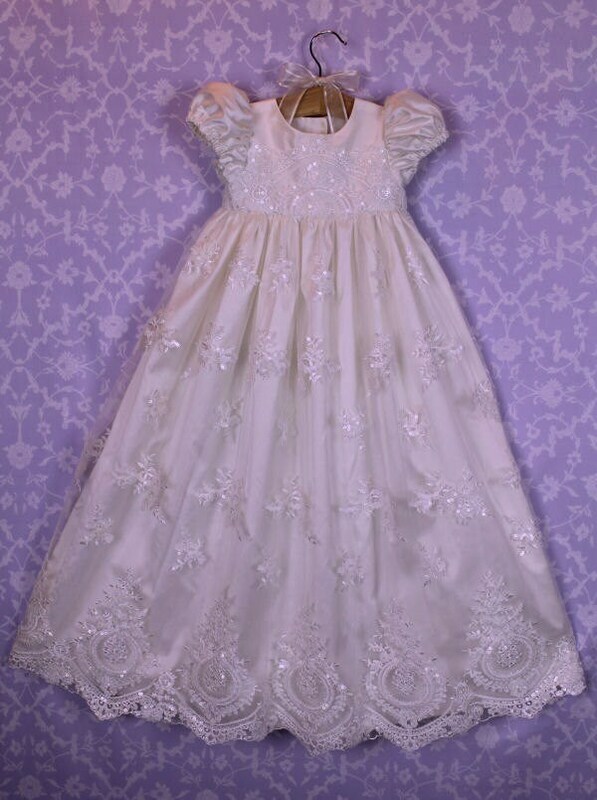 I have called this gown Cameo after the gorgeous all over lace that displays a flower and leaf motif set in ovals around the hem. 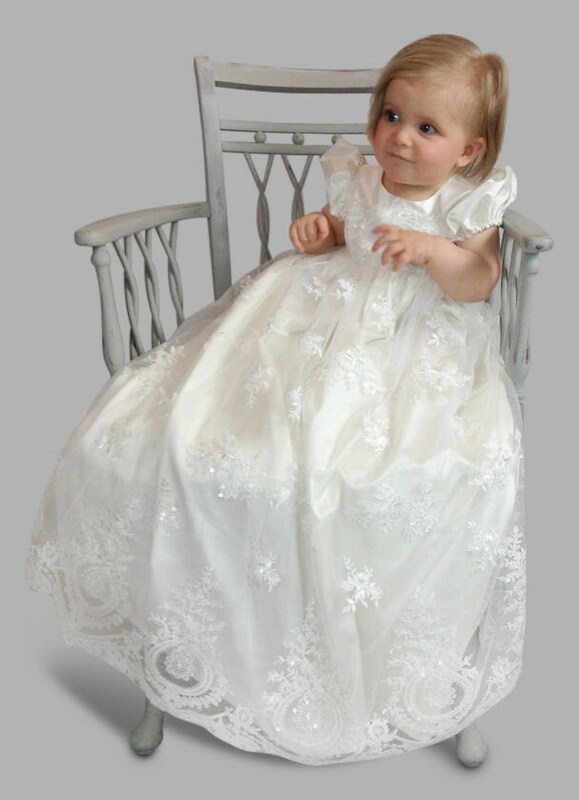 This lace also has a sprinkle of sequins, giving the gown a gentle twinkle. Not a lot just a little, very dainty. The bodice features lace and has small silk puffed sleeves. 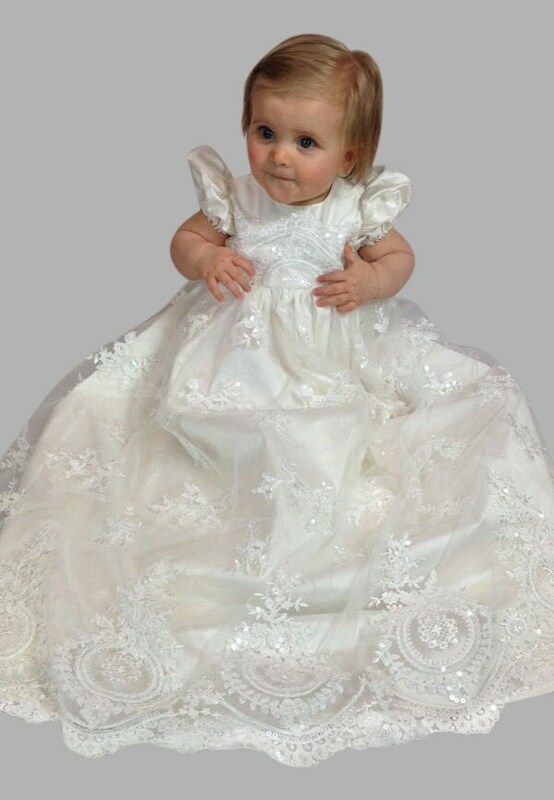 The twinkle of sequins sets this gown apart and allows for a very traditional gown to have a fresh appeal. The back of the dress features covered buttons with rouleau loop fastenings. Length 33 inches or 84cm approx. depending on size. 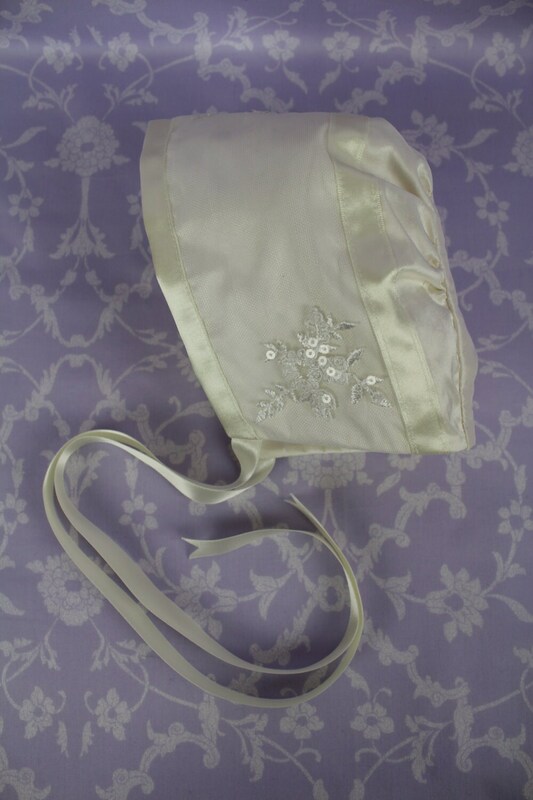 The Cameo Bonnet enjoys a flourish of lace and ribbons to complete the outfit. 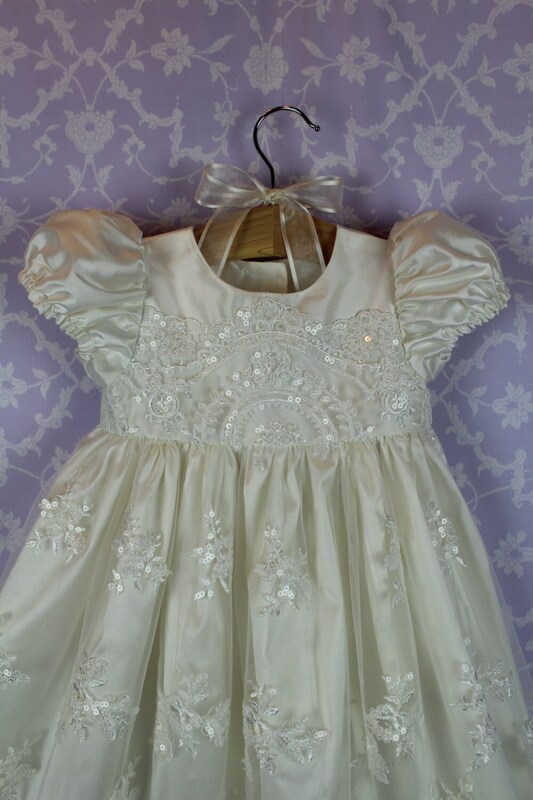 Samples of silk and lace available on request, please use our contact page for such a request.